Well cats and kittens, I am officially married! Photos have been trickling in from various sources and I will be posting on different aspects of the wedding (and honeymoon) over the next few weeks. If you ever have a question about how I did something or want to know more about a post, please let me know. 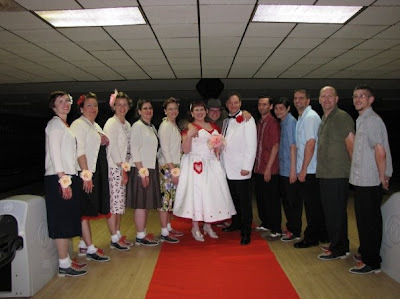 I started this blog to help others plan a rockabilly/50s wedding, so don't be afraid to ask. 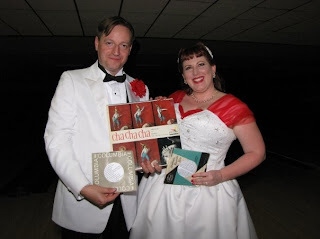 The picture to the right is of my handsome new hubby and myself holding our ceremony text, which was pasted between two 50s albums, and vows, which were attached to vintage 45s. We were married by a dear friend (shown between us in the picture above) who was ordained online. It is completely legal and added so much to our ceremony. Just be sure to research your state's marriage laws to make sure you cover all of your bases. One extra benefit (although not why we did it) is no clergy fee. I am getting married soon. VERY soon. Incredibly very soon. 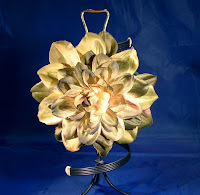 So to pre-celebrate my upcoming big day I am having a super-duper sale for my loyal blog readers. 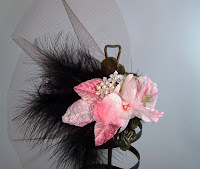 If you are a blog follower (meaning you show up as one of my followers in the right hand column of my blog) you can get 30% off anything you buy in my Tart Deco etsy store from Sunday July 12 until Wednesday July 15th! How it works: Once you have picked out what you would like, send me a convo message through etsy letting me know the item(s) and I will set up a special order for you in my store with the sale price. Hurry- sale ends at 10pm central time Wednesday, July 15th! 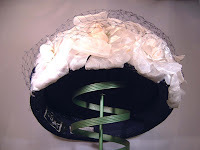 Rock 'n Roll Bride recently featured this WAY too cool wedding that is a blend of 50s rockabilly and scottish fashion. Seriously, this looks like a rockin' good time. More pictures are on the Eagle Eye Photography blog, who took these ravishing photos.